Second Chances Girl - a Miami family and lifestyle blog! : Adrian's LEGO Party!! On November 9th, we celebrated Adrian's 7th birthday with a LEGO-themed party! 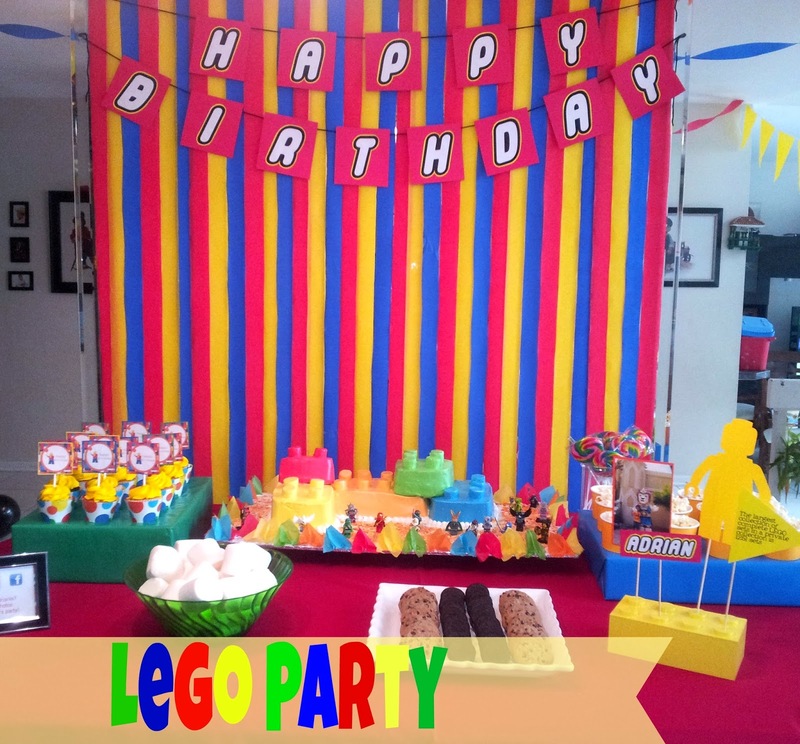 This was definitely a DIY party since the LEGO party themed supplies are minimal. I scoured Pinterest for weeks for inspiration. I learned to use Illustrator to make printables. JC and I DIY'd as much as we could and then attacked his LEGO supply for the rest. I had reserved the pool area of our community but of course, it decided to rain all day. We had to move the party indoors. I do not have that much space in the house so JC had to move most of our downstairs furniture upstairs. We did the best we could with the space we had. I was super upset that the kids wouldn't be able to play outside (we had so many games planned) and all my pictures came out dark (terrible lighting inside). 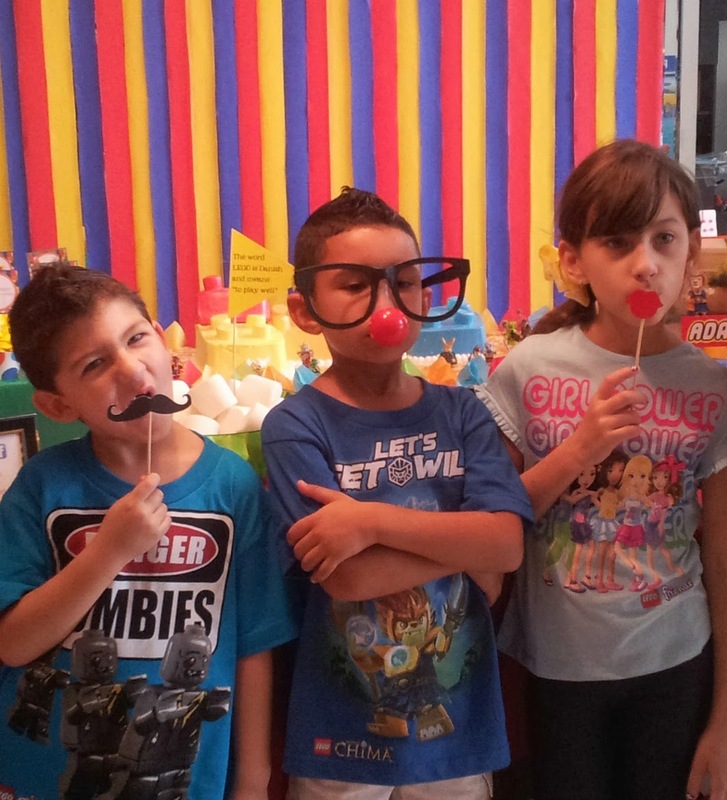 Adrian had a good time though with his school friends and cousins. I purchased over-sized glasses at Target and then printed these photo props. The kids (and adults) loved them. Oh and yes, I make the kids dress according to theme. 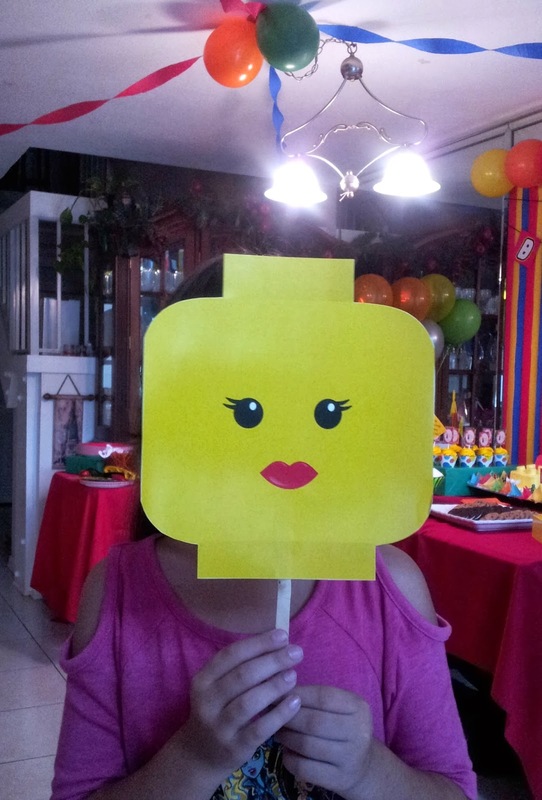 These Lego head props were hilarious. Luckily, I had printed out minifigures for kids to color while we waited for others to arrive. Since we were stuck indoors, the kids gravitated toward this activity. 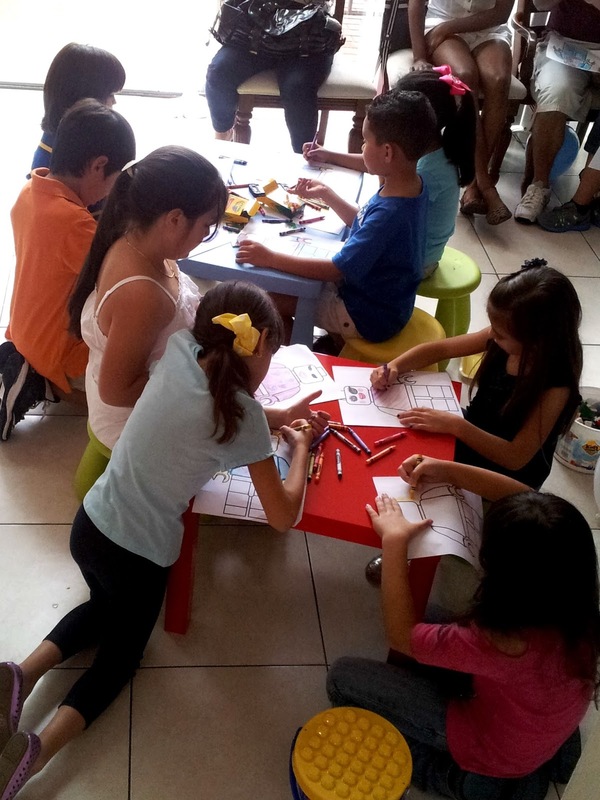 Poor kids, I felt so bad for them, I didn't even have space to set up a proper table for them to color on. 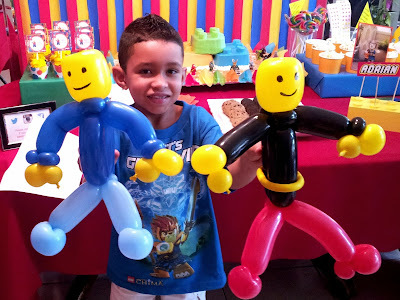 I hired this amazing balloon artist to come and create masterpieces for the kids. He was there for hours. He made 1-2 balloons for each child and then my sister and her friends decided that they each needed one. He showed up with these two Lego guys for Adrian. 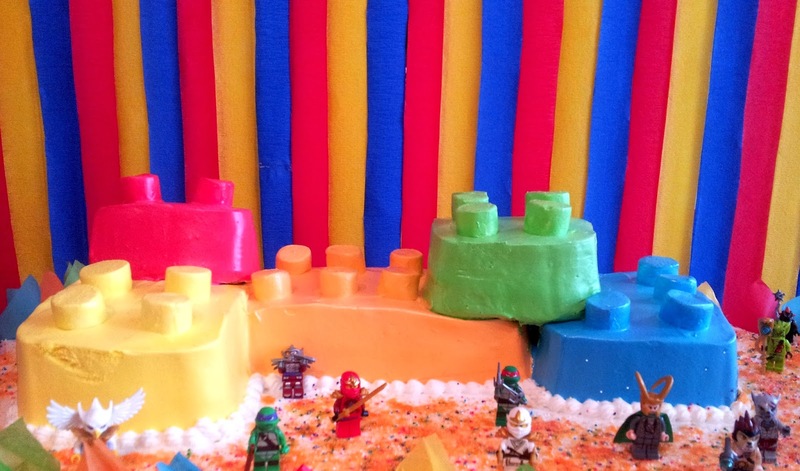 Here is a more close-up shot of his cake. My co-worker's wife made it for him. She did such an amazing job! 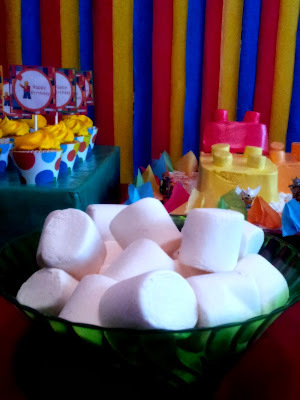 I like to have centerpieces, even at a kids party but I had no idea what to do. JC to the rescue! 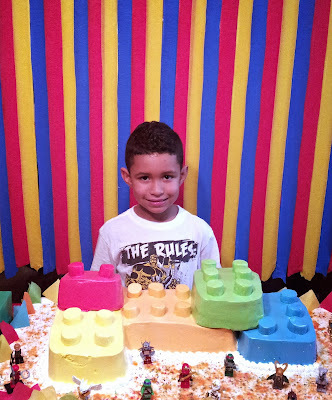 He created these big Lego bricks out of acrylic and painted them in the basic party colors: yellow, red, blue and green. 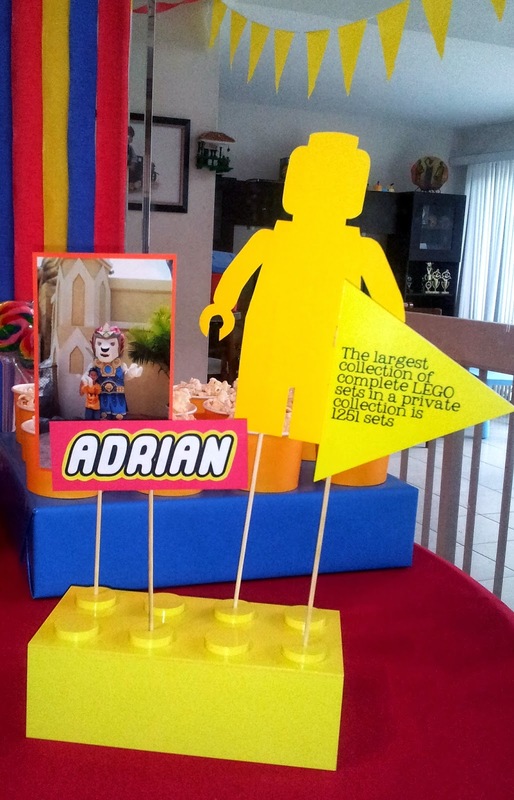 I then decorated each one with a picture of Adrian from when we went to Legoland, a Lego person cut out from yellow cardstock, these flags with Lego facts and his name in the Lego font. Cute, huh? I found these humongous marshmallows at Wal-Mart. The kids freaked out when they saw them. I should have bought two packages because the kids devoured them! My original plan was to make them like this, but I ran out of time! 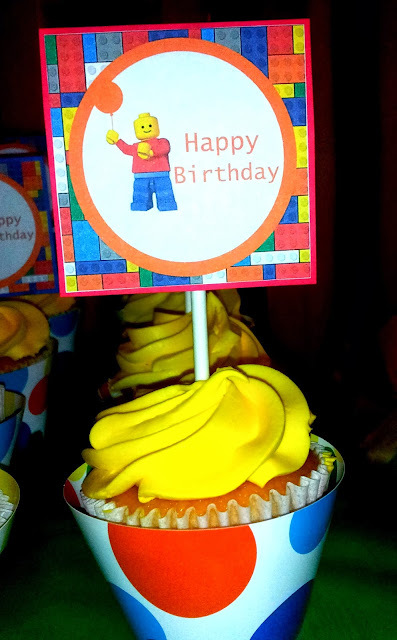 I ordered these cupcakes from a local bakery that Adrian loves and just popped on these cupcake toppers I created. 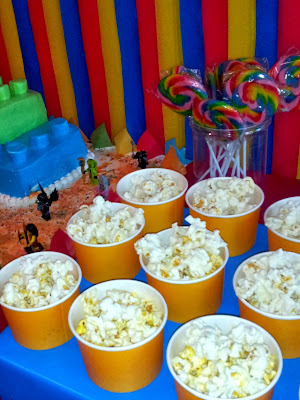 I also popped some popcorn (I had rented a popcorn machine, but I had to cancel since we moved the party indoors and there wouldn't be space.) I found these treat cups in the Target Dollar Spot. This "Pin the Shark in the Water" was the one Lego-themed item I was able to find at Party City. 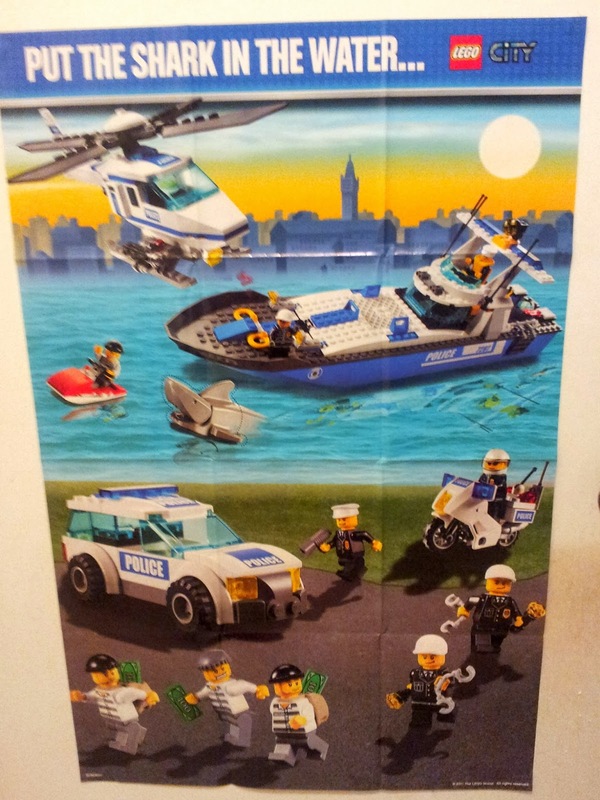 The kids had lots of fun playing this. All-in-all I wish I had done more. Made this look like the ones on Pinterest but I was so upset about the weather that my party mood went out the window early on. 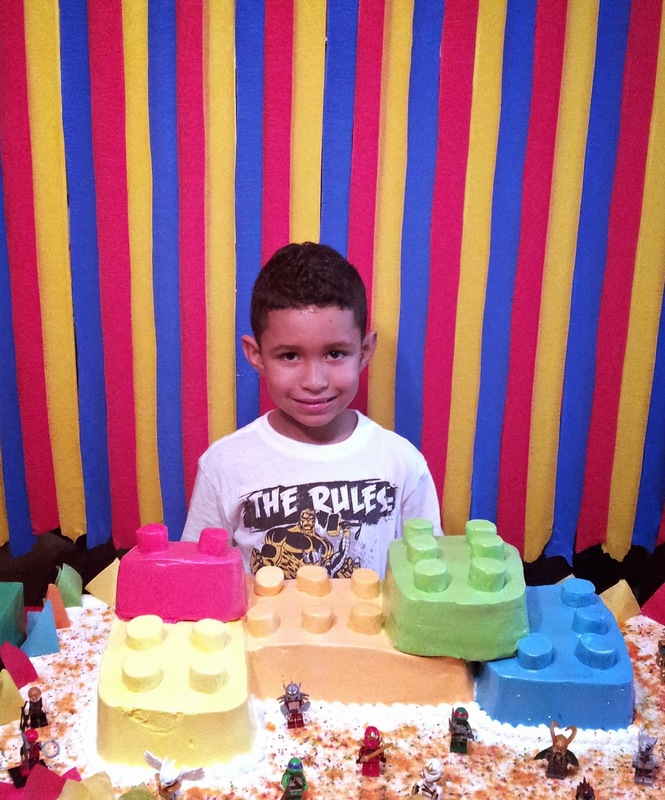 I really hope Adrian had a good time and enjoyed his party! I am working on a post for all the DIY from this party. It will, hopefully, be up tomorrow! Stay tuned! This is pretty amazing, Ida!! I can't decide what I love most. All of it! Thanks! You are always so kind!